It has been awhile since I have written anything. 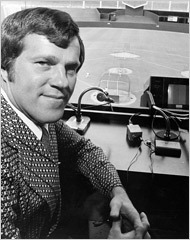 In fact, I was toying with idea of never watching another baseball game after reading an article about Tony Kubek. Kubek apparently became so disgusted with the rampant greed in baseball that he walked away from the game in 1994 during the players strike. He has not watched a game since. In fact, until his inauguration into the broadcasters wing of the Hall of Fame last month, and a visit to Cooperstown, Kubek had never even heard of Alex Rodriguez. Admirable in my book. Anyway, as the pennant races heat up in August I thought I would chime in on the term”wild card” a phrase that MLB has appropriated from the NFL. In fact, there are several terms from the NFL that MLB uses nowadays, the 2 most often repeated being “wild card” and “home-field advantage.” I always grimace when I hear these phrases during a baseball broadcast. These are football terms and have no business in a baseball telecast ( if Tony Kubek watched baseball anymore I am sure he would agree). MLB has undoubtedly decided to use part of the NFL lexicon because of the popularity of Professional Football in this country. Use of these terms is nothing more than an subliminal attempt to seduce football fans into watching baseball, a sport that is now lagging behind football and basketball in terms of popular appeal. Lamentably, “wild card” in baseball seems to have caught on. I may join Tony Kubek yet.